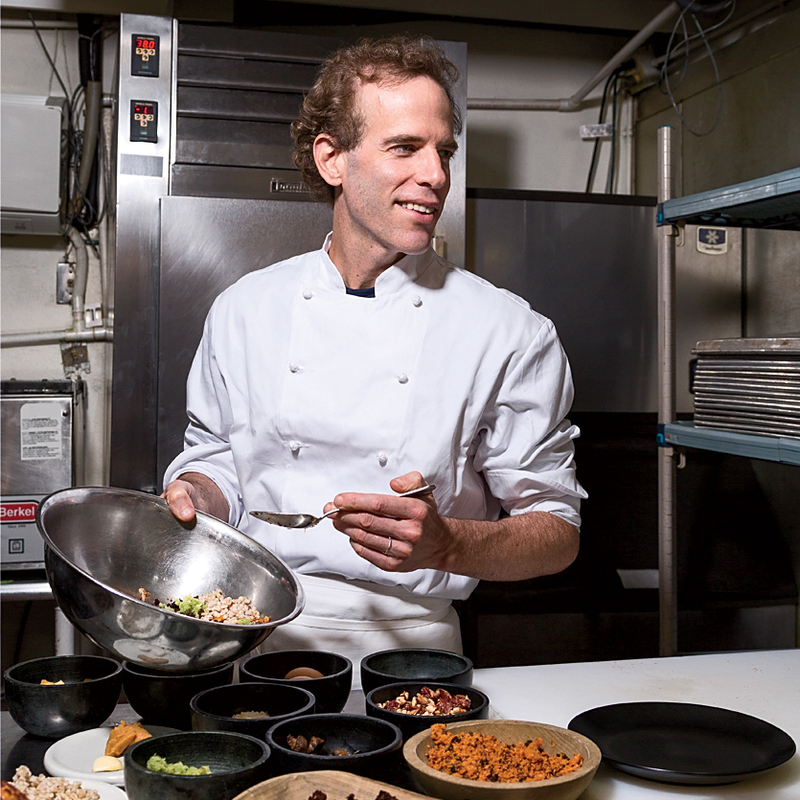 Pioneering chef Dan Barber talks about the lasting lessons of his genius pop-up, WastED, at New York City’s Blue Hill Restaurant. What inspired the menu at WastED? We collaborated with farmers and producers across the food chain, and the results were so surprising. We found out that Organic Food Incubator [where Liquiteria cold-presses its juices] generates one ton of pulp per day; we used some of that to make our beet burgers. Acme Smoked Fish was throwing out 10,000 pounds of bones every month; we served the sable bones with the meat stuck to them. It was like discovering a completely new palette of ingredients, many of which have made their way onto our Blue Hill menu. Each time I thought I’d come up with a brand-new concept, one of the guest chefs would invariably say, “My grandmother did that.” For instance, I made hamburger buns from old bread soaked with milk; then Dominique Ansel told me his grandmother would do that. I had the brainstorm to make buffalo wings out of skate cartilage; then Danny Bowien told me the classic Cantonese name for the dish. These are all ageless ideas. How can home cooks stop wasting food? At Blue Hill, we constantly audit our kitchen waste, asking ourselves what is not being used and what we might make with it. That’s something any home cook can do: Look at your carrot and turnip tops and think pesto. Or soup. Working with this stuff stretches you as a cook and makes you more mindful and creative. What scraps refuse to be upcycled? I’m still figuring out how to cook the whole brussels sprout stalk. The flavor is incredible, but the thickest section tends to be tough and fibrous. What about all the cooked food that restaurants throw away? Post-consumer waste—the leftovers on people’s plates in the dining room—has untapped potential. At Blue Hill at Stone Barns, we put it in our compost, which we use as an energy source. The heat generated by the breakdown of materials can reach 160°, enough to cook eggs and vegetables. I’m collaborating with foodandwine.com. We’re spotlighting the components of WastED dishes and curating recipes that other chefs make with leftover ingredients. We also catered the New York Times’ Food for Tomorrow conference in October; all the meals were based on food waste. Check out the recipe for Dan Barber’s WastED beet burger, so popular it’s now on the bar menu at Blue Hill. 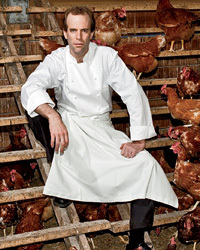 And stay tuned for more Unwasted intel from Barber and other sustainably-minded chefs.